In July 2017, a dozen coding schools from over half a dozen countries signed a memorandum of understanding (MOU) to formalize their commitment to supporting each other's work, including knowledge sharing, collaborative projects, and shared fundraising. Learn about the first cohort of Room 7 partners here. Driving Room 7 behind the scenes are Josephine Goube of TechFugees and Tom Liam Lynch of Babble Lab at Pace University. Learn more about them and their organizations below. Techfugees is a social enterprise coordinating the international tech community’s response to the needs of Refugees. Techfugees exists to empower the displaced with technology. // Techfugees organises conferences, workshops, hackathons and meetups in around the world in an effort to generate tech solutions for and with refugees. It also curates and promotes the best projects it finds for partnerships & implementation in the field. A center based out of the School of Education at Pace University in New York City, our mission is to reimagine how we teach the humanities by focusing on the relationship between human and computational languages. 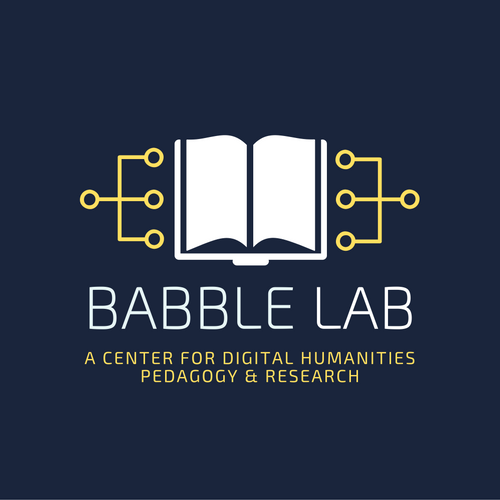 With a unique interest in both higher education and K-12 instruction, Babble Lab is dedicated to increasing support for both university and K-12 educators in using digital humanities-based methods in their classrooms.